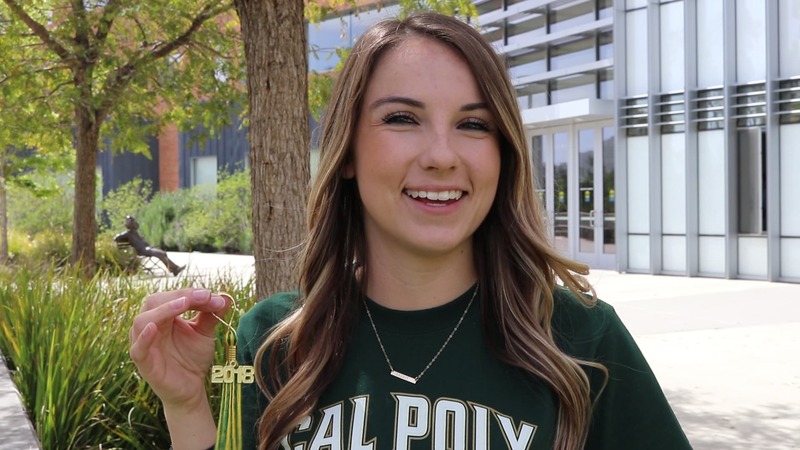 By making a senior gift you are telling current students, alumni, our philanthropic community and future students that you believe in Cal Poly. We know students don’t have a lot of extra money floating around, but your gifts all add up. The Senior Gift campaign goes directly to current and future students in need through Cal Poly Cares. Or give to where you love, any department, college, club, etc. It all adds up. When you make a gift, you will receive a commemorative gown zipper pull that turns into a keychain with your class year on the tassel as a thank you! Kickstart your Legacy by donating to the Senior Class Gift, Class of 2018! All gifts will benefit Cal Poly Cares fund!